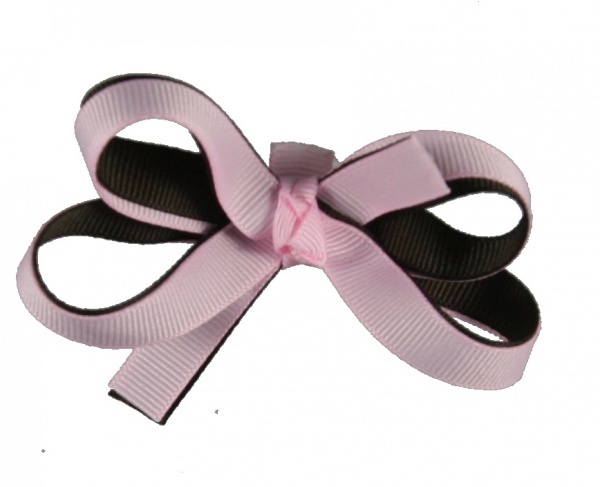 Double Layers make up this pink and brown baby sized bow. This is two great colors wrapped in a traditional style bow with a pink French knot in the center attached to a lined alligator clip. Great size for the little ones or get two for piggy tails.